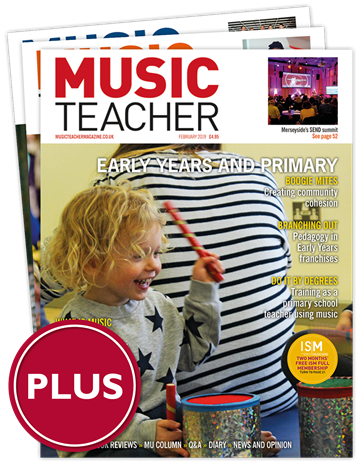 Music Teacher magazine is the essential meeting point and resource for music education practitioners. 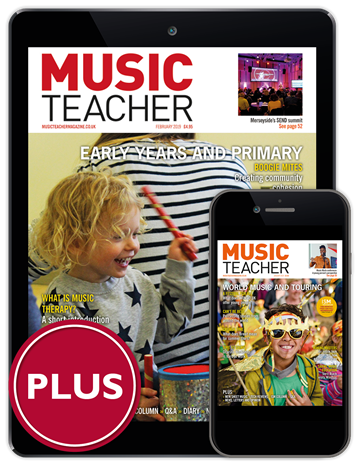 Whether you teach class music, or are a peripatetic/private instrumental teacher, Music Teacher will provide you with invaluable ideas for your teaching, with substantial online lesson materials and a range of practical features. To claim your discount, please enter promotion code ISM19 at the checkout. Please note: this offer does not apply to multi-year subscriptions.